Karen Thornber argues that humanities can help improve human health and in particular can alert us to the need to tackle persistent stigmas against diseases. Professor of Comparative Literature and of East Asian Languages and Civilizations at Harvard University, and Victor and William Fung Director of the Harvard University Asia Center, Karen Thornber, was invited to CAS Oslo by the research group Airborne: Pollution, climate change, and new visions of sustainability in China. –There is much to celebrate when it comes to improvements in human health, but still much to tackle. Her current book project is on ‘health humanities’. Part of this book engages with disease stigma, and especially with the importance of tackling stigma against illnesses in societies around the world. – Literature can help critical thinking. Karen Thornber is interested in how we can use humanities to help improve human health. – Patients often feel physicians don't listen. In China especially there are incidents of patients attacking their physicians because they don't feel heard. The multilingual professor argues that health humanities can help us better understand those close to us who have health problems. – Many writers focus on stigma and not on the disease in itself, demonstrating just how destructive stigmas can be. – Due to stigma, people delay seeking treatment if they think they have symptoms of this disease. Many even prefer staying in treatment centres because they are so discriminated against in the outside world. Thornber provides examples of how the disease, which can be disfiguring, is presented in both ancient and modern literature in Asia. Thornber cites the work of Angela Lung, who describes early Chinese stigmatisation of leprosy as ‘a mixture of religious, popular, legal, and medical interpretations formulated during a very long historical period’. Leprosy was associated with retribution and the violation of taboos. – Red sorghum does not depict this man as suffering from leprosy, but instead from the reactions of people to this disease. – One tale in this prominent work of classical Japanese literature features a monk who is punished with leprosy for behaving improperly. Similarly, thirteenth-century Japanese Buddhist documents speak of leprosy as a karmic illness. 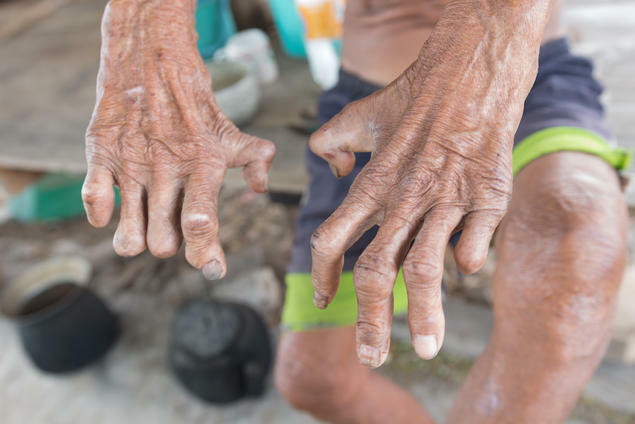 – It highlights the betrayal of people with leprosy at the hands of their community. – But ‘The rock’ reminds us that Koreans also harshly treated people with leprosy; this story features a woman who is tormented by her neighbours. For its part, South Korean novelist Yi Chong-jun’s Your Paradise (1976) depicts how people with leprosy are treated as ‘already dead’. For the most part, the director of the Sorokdo leprosarium sees the residents under his care primarily as living examples of disease, not as human beings. – This literature shows a desperate need to replace stigma with care.